The biggest things that stop many business owners from writing their book is not knowing how to get started, or starting without the right foundations, structure and mindset in place. You may have a brilliant idea, but not being clear about what to do first, how to get published, and how to use it as a brilliant business building tool can stop you from writing the right book to build your business. Your message can lose clarity and focus, and you may feel lost. 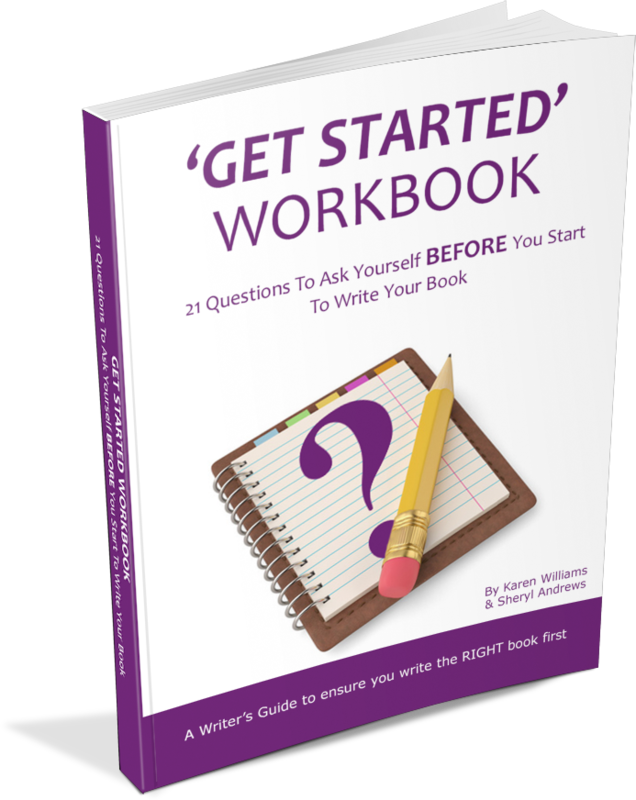 This is why Karen Williams and Sheryl Andrews have collaborated to create the Get Started Workbook. We'd like to give you 21 powerful questionsso that you can self-coach yourself and set yourself up for success. Whether you're writing a self-help book, how to guide or memoir, the process is the same. and establish you as an expert in your field! Write a powerful book that will build your credibility and get you noticed by more of the right clients. Get clear on what you want to get known for through your book, who it's for, and how you can demonstrate your expertise. Understand two important concepts that you need to nail before you write a single word. Turn your dozens of ideas into valuable content that will attract more clients and grow your business whilst you write your book. Maximise the time you have available to avoid writer's block and empower you to write it quicker. Put strategies into place to ensure you reach more people with your book, and get tips to use it as an effective marketing tool.